There are so many great football writers available to you on the internet. So, too, are there plenty of great resources for information about the 1. FC Köln to be found, though I’ll admit that not a lot of it is in English. Hence, if you’re still waiting to get an recap on Sunday’s 0:1 victory in Sandhausen in English, here you go! Because the boys spent the night at my in-laws’ home Saturday night, the Missus and I were able to sleep in Sunday morning. Sleeping in as a parent of two young children is a remarkable gift whenever you get it. It also has a way of making you notice how the forced adaptation of new sleeping habits has made your body incapable of sleeping in beyond, say, 9 a.m.. Even when you are, as I was all weekend, sick as a dog. Or, perhaps, my mind was simply too excited about the prospect of finally getting some points (or even a goal!) would scratch the itch that’s gotten progressively worse since just before Christmas. The itch being a need to watch 1. FC Köln succeed on the football pitch. As evidence, I present the fact that my wife managed to sleep another hour or so after I awoke, which I took as a good opportunity to get my Effzeh-viewing off to an earlier-than-normal start. The commentator on FC-TV offered at typical greeting and intro before the match, as per usual. Somehow, when he got to the starting eleven, he failed to mention Daniel Halfar and Marcel Risse in midfield. He’d given all the other names, but I had to assume the other two were playing. It’s possible the coffee hadn’t yet kicked-in to the point of me keeping up with his German, but I feel fairly strongly he failed me there. Anyhow, after all the mid-week speculation about how the lack of offense against Paderborn would be addressed, it turned out the two-pronged attack of Patrick Helmes and Anthony Ujah was to be back in action. So much useless drama . . . Otherwise, Horn in goal, same back four as usual (Jonas Hector, Kevin Wimmer, Dominic Maroh, and Miso Brecko) and the noting of Adam Matuschyk next to Yannick Gerhardt in place of Matzelinho (Matthias Lehmann) who was serving his one-match suspension for earning his fifth yellow card the weekend prior. Since Peter Stöger had already let it be known Matu would get the nod . . . no alarms and no surprises. Before the kickoff, the commentator mentions “Sandhausener” rather than the oft-used “Sandhäuser.” I always think the latter sounds weird, but. . .I suppose this is actually of interest to nearly nobody. It’s a language thing. It just seems WRONG to my “Deutsch als Fremdsprache” ears, but I’m far from fluent, so . . . moving on! 1: Ujah gets whistled for a high leg early. I don’t know why, but I’m worried about the guy lately. Seems frustrated with something. Perhaps it was the look of non-amusement from that picture of Stöger patting him on the head this week. In fairness, that can come off as patronizing, but I’ve no idea of the relationship between the two. I can’t imagine, however, Ujah was too happy about being subbed at halftime last weekend. But if this happened in America, it would have already boiled over into some highly charged debate about race relations in sports vis-a-vis whether a white coach should ever pat the head of a black athlete. It would also be on ESPN all day long with at least four tangentially related stories. One thing I don’t miss about no longer closely following the various sports leagues of my native country is the overwrought coverage of anything remotely melo-dramatic. It’s funny how much more actual sports content we see “covered” over here, yet how little of the coverage is focused on the actual sporting side, while talk about (to use a current example) an incident of locker-room bullying/hazing can stay in the news cycle for months. Speaking of which, I’ve already gotten too far away from the match. Let’s go! At least, that’s what it sounds like they’re singing in the guest block. Again the travelling fans are providing a show of big-club atmosphere for the hosts. 7: First Effzeh corner coming. . .comes to nothing. This match is not, thus far, appreciably more exciting than the last. That does not bode well. 8: Hector attempts to usher ball beyond goal line to win a goal kick, but is bumped from behind by a Sandhausener and ends up stumbling over the ball to yield a corner. This really is less than ideal. Did not put the match on expecting instant and thorough dominance, but maybe a little bit I was hoping for it. I realize we’re just eight minutes into the match, but things do not look to be that sharp. Fortunately, the corner, which was the second for Sandhausen, also comes to nothing. 9: Halfar is too funny. Hadn’t noticed him yet on pitch. First time I do see him, he’s cutting toward the top of the area to drive a low shot that goes just wide of post. Not sure it would have beaten keeper if on target, but it would have been a problem, at the very least. First sign of life for Effzeh attack. I’d say the coach is at least mildly pleased with the effort, but not much more than mildly. I always enjoy the way Halfar can be very aggressive when in possession, but the miss reminds me that I don’t remember him actually ever scoring since coming to Köln from 1860 München. I’ll probably look that up later. 10: I’m not so sure Adler WAS offside, but. . .fine by me. Could have been a good chance for Sandhausen, otherwise. 14: Clearly, I adore my chosen club and its big stadium and all that comes with it, but I could spend weekend after weekend visiting smaller venues like this one. My big fat football-romantic heart just swells at sights like this. The charm, for me, is off the charts. Translate the feeling so others feel it too, monetize it, and I’ll be in Germany, spending weekends watching Fußball, and hauling in the Deutschmarks! (Relax, folks. I’m plenty aware of the change in the currency situation since I was last on European soil. 20: A great long ball played forward for Ujah is handled well enough for him to deliver it to Halfar, who earns a corner . . . but the corner goes nowhere. 21: The first really good chance for SVS ends in a foul thanks to great positioning from Kevin Wimmer. Quick tip of the cap to Wimmer for becoming such a solid player so quickly. Great stuff. 22: Hector plays forward to Halfar, who spins around Olajanbesi and has space. Halfar plays it forward to Helmes on the right, but it’s just a bit too far ahead of him for it to become a shot. Helmes tries to play it back toward front of goal, but it deflects off a defender. Appeals for a hand play are fruitless and unwarranted. 25: A great pass from Halfar to Ujah who is somehow onside, despite appearances. Ujah is unable to evade keeper Manuel Riemann going to ground. 29: Halfar hauled down and is awarded a free kick in a decent spot. The ensuing kick ultimately bounces out to Matu, whose attempt is cut short when his foot meets the foot of a Sandhausener attempting to block. Hurt foot, but another dangerous FK spot. 31: Helmes can’t get enough curl on the ball to get around the wall and back on a path toward goal. 32: Sandhausen with their first real stretch of possession in the penalty area, but cannot get a chance. The ball ultimately heads for Ujah who unwittingly kicks Denis Linsmayer in the back of the thigh in an attempt to play it. This of course, leads to a free kick from a dangerous spot for Sandhausen. 33: Simon Tüting attempts to score toward the right post. Horn gets to it and holds. That blur visible just to the left of the goal? That’s Horn being a stud. No big deal. Pause: I had to go get something from out camping trailer, as the Missus sold it via Craigslist. Be right back! Linsmeyer drives a shot off Matu’s back and then calls for a call for hand play. What a tool! 41: Nicky Adler kicks legs out from under Halfar. Halfar goes down fairly hard. Schiri keeps yellow in pocket. Weird. Halfar’s lack of getting up to pretend he’s going to punch Adler in the face reminds me of something I really dislike in NBA basketball. There is no bigger collection of pretend tough guys than the National Basketball Association. Almost every altercation features a moment where the instigator waits for a teammate to hold him back so that he can then pretend he’d be in a fight if only his teammate were not holding him back. Basketball would be greatly improved with the yellow card/red card system. I mean, what’s more boring than basketball in general? Free throws! Start chucking guys out of the game. If it’s five-on-three for the last four minutes of the game, so be it. At least with a yellow card, individuals would only get to do their fake tough guy act one more time before being sent to the showers. 45+: Risse ends the half by smacking the ball off the crossbar from a bit outside the area. He had the space to take a crack at it and he did. Would have been a stunning goal, but it’s just another clanging of the aluminum for the Effzeh. It seems our guys are fairly proficient at this. 46: Sandhausen with an early first shot of the half and their best of the match, but Marco Thiede fires wide. The chance came only after Hector made a horrible back-pass. I’m definitely a fan of Hector, but sometimes he does make bone-headed plays. He’s no Lukimya, of course (I can’t believe Robin Dutt finally realized he is horrible! ), but sometimes you get a reminder that he was a midfielder not too long ago. 48: And, as soon as I’m critical of the guy, Hector makes me need to cue up the apology. Hector launches a LONG ball across the pitch to Gerhardt just outside the right side of the penalty area. Gerhardt heads the ball down to Helmes en route toward the near post. The young man is a player. What more can you say? Paddy finishes without hitting aluminum. We have the 0:1 for the good guys. It’s s nice to finally have a goal for the new year. It may even be enough, considering how completely Sandhausen has been cut-off on the other end. But, we’ve all learned the hard way just how not-safe a one-goal lead ever is in this sport. A great example would be from match day two last season, when Sandhausen got a late equalizer off a crazy attempt. 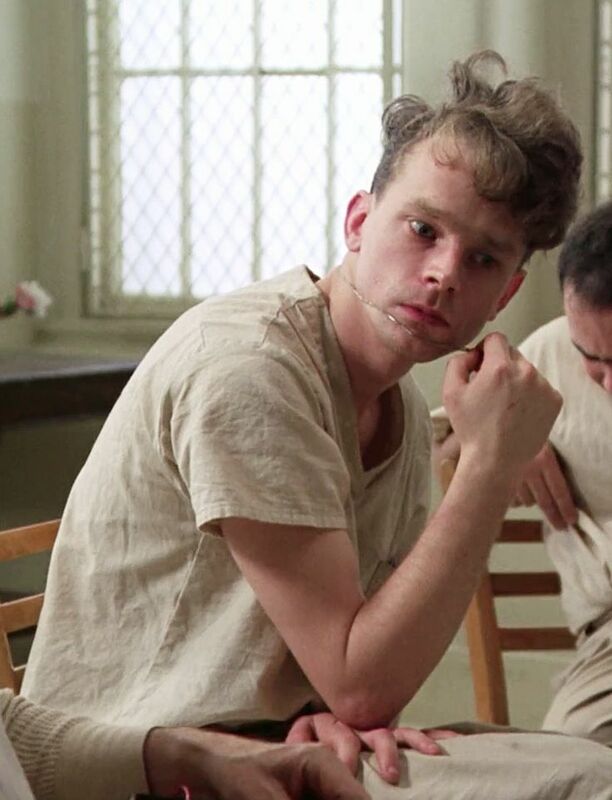 Sidebar: Sandhausen captain Julian Schauerte’s hair reminds me of a character from some movie. Not a great look, as I’m certain the character in question was a bit off. I can’t remember who, though. 52: The ball goes into stands. Fans throw it back into play. This is always a surprise to me. I realize it’s simply how things are done, but is there a good reason to not let fans keep the ball? I suppose there’d be fear of a near-riot erupting from fighting over a ball, but we manage that here well enough. There are clearly plenty of balls on hand where losing the occasional ball into the stands wouldn’t hinder the continuation of play. The marketing angle seems too strong and obvious for it to not have been already considered and rejected, but all sports-loving American boys grow up hoping they’ll catch a baseball that flies into the stands. It’s ingrained into the fabric of the development of the fan-sport relationship. 58: I’m letting the match roll while having a diaper discussion with the Missus. Doesn’t look like I’m missing much worth discussing. Of course, who wants to discuss diapers? 61: Ujah launches a shot from the second row after Halfar takes a clearance up the left side and delivers a pass to him in the middle. Ujah’s shot sails high. Full of power and glory, but. . .
62: Risse taken down hard by Kister on right side. Stays down. No free kick given? This referee has been fairly hands-off, now that I think of it. I’m okay with that, as long as it’s fair. I don’t think that was fair. 68: A second goal HAS to be coming from all this pressure, doesn’t it? Offense is turning the screws. All the chances are coming from one side and the Effzeh defense is tight. Would really like another goal, but it’ll take something a bit shocking for SVS to get the equalizer at this point. 71: Wimmer got away with a hand ball along goal line just outside area. Probably fortuitous. 72: Helmes again finds the post after great Halfar service. Crazy how many of his shots have struck the goal frame this season. Also, Halfar has been dynamic the entire match. Just wanted to say that. 73: Matu stops a counter-attack dead in its tracks and ends up with a shot on the Effzeh counter of the counter. Fired wide, though, so no birthday goal. . .yet. 76: We just saw the “something shocking” that nearly equalized for the hosts. Timo with a great reaction on a point-blank attempt and some alert work afterwards from the defense to clear the area. Still, far too close. This is why it’s important to convert more of the many, many chances! Driving me nuts! 79: Yet more great service from Halfar. Another less-than-impressive finish. Ujah shot goes straight at Riemann. 80: Thomas Bröker on for Risse. And somewhere, lost in Nippes, Axel is clenching his teeth in annoyance. . .
81: Adler with a total dive trying to draw a free kick and maybe a card, pretending he was hit in the face. Cheap shenanigans of the sort that would draw a suspension from my (as of now) fictional office of game-tape review. Also, Stiefler goes off for some guy with frosted tips. Oh, you young European athletes. . .
90: Okay, this is about when they got that absurd equalizer in match day two last year, oder? Bård Finne comes on to replace Ujah, but probably more to simply waste a little time. Though, why didn’t we see him earlier? Might we have had Helmes not scored? I realize he did not finish his opportunities well last week, but he truly was the guy in the right spot to create a good many chances. Doesn’t matter! Three for the Billy Goats! Back in the win column! I’ve a feeling there will be a lot of talk this week about the inability to get more goals off the heavy edge in chances, but Sandhausen should be credited at least as being surprisingly good this season, particularly at home. I’m admittedly pulling for them to maintain the class, considering the way they’ve seized the second chance given them by MSV Duisburg’s accounting office. You’re not still reading this, are you? Okay, I’m off to attack my Sunday! Peace! 1 Comment on "Effzeh auf English: Re-Live Blog of 1. 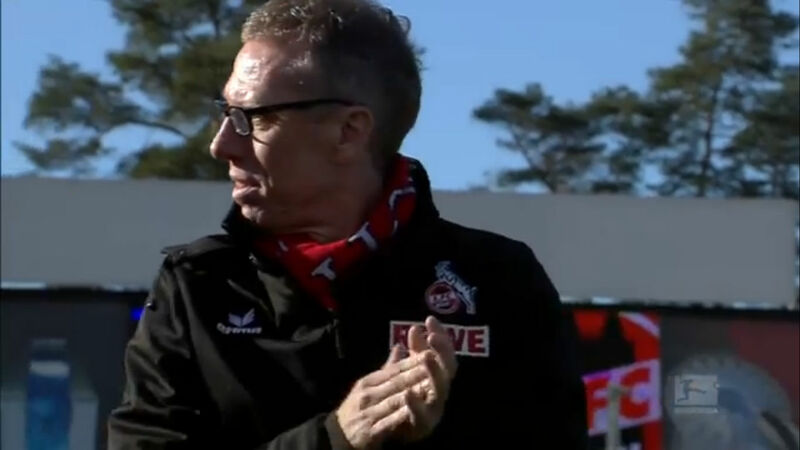 FC Köln at SV Sandhausen"
I love those re-lives. Keep doing them, great read!